Large enough to be stable.Profitable and self-funded. We've been around since 2005. We are profitable and self-funded. We don't have to please anybody but our customers. Small enough to be personal. "Small" means "fast". There's nothing wrong with being small. "Small" means "fast". Something big companies are incapable of. Alex Yumashev, founder and CEO. Alex had a big boring job in a big boring bank (as head of software development), but in 2005 has turned to the Light Side and founded Jitbit. Lead developer, designer, MCSD, MCDBA, MCP, MC<you-name-it>. Loves snowboarding, motorcycles, bass-guitars and blogging. But above all - coding. Ex-twitter evangelist and "Shorty Awards" winner. Loves guitars and sleeping. Apple fanboy, web-hacker, podcaster, support ninja. Writes code since 8 years old. Apple fanboy (worth mentioning twice). Art Dashinski, Chief Design Officer. ...and we really do mean "officer". Art served in the Israeli army, special forces. When he says "this is our new design", we say "SIR, YES SIR!" Vlad Gurinenko, Head of Customer Success. Vlad is the reason our customers love us. Period. He's there 24/7, literally. Well, except when he's paragliding, which he's a huge fan of. Robbie Richards, Head of marketing. Robbie writes all the awesome stuff you see in our blog, builds our website and makes it Google-friendly. 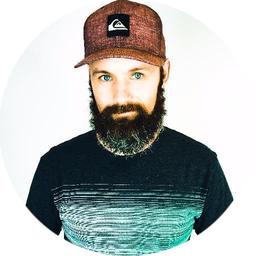 An Aussie living and working in the US, full-stack digital strategist that we're lucky to have working with us. Helen Gerson in Chicago (IL), Serge Schel in Seattle (WA) and other even more awesome folks work for us in London (UK), Chicago and Tel-Aviv (Israel). As a profitable company we have only one boss - the customer. We don't have to survive from one funding round to another, we concentrate on building a sustainable business around a cool product instead. We are very open about our success and failure, both within the team and with our customers. "Where are you based"? Everywhere, from Hong Kong to Seattle. We know a heck of a lot about supporting customers in different time zones, which helps us build an awesome customer service tool. Contact us If you have any inquiries or questions, please send us a note to [email protected] or use the form below.